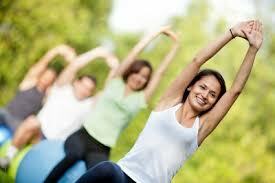 Come and enjoy our fitness classes with pilates in the beautiful setting of the city park. Our group Fitness classes include a range of bootcamp exercises and pilates. we work , for part of the class in teams (teams are divided into levels) which gives a healthy sence of competition for the competitive and those just looking to have fun. Date and Time: 6.35pm-7.30pm / tuesday evening. Equipement: Bring your own mat or a towel and dont forget the water! We are more than happy to have a chat before class, by mail, or phone to discuss any concerns, previous injuries, or even personal goals. Contact us here. Fitness classes with Pilates in Barcelona with SimplyBePilates – Hope to see you there!